The Social Security Administration and many state governments maintain lists of medical conditions that can lead to disability. These lists are not perfect, however: there will always be conditions that are not mentioned. If you have a seriously disabling medical condition, but your condition is not on the list, you can still seek disability benefits from the state. Every state has a set of standards for determining whether or not someone is disabled. When an individual’s condition is not on the official list, states have ways of evaluating the effects of the condition on that person’s ability to maintain a normal working life. Indiana’s standard is known as the impairment-based approach. In other words, they measure the impact of your condition on your ability to carry out normal work functions. Indiana’s system means that a doctor’s opinion is central to your case. Your doctor will evaluate your condition and rate your disability according to an impairment rating guide. These guides are standardized to help minimize disagreement, but disputes over the patient’s degree of impairment are not rare. Doctors can sometimes be biased in favor of patients or in favor of employers, so proving your disability to the court may be difficult even with a doctor’s help. Although this approach is used by more states than any other, it does not take lost wages or lost earning capacity into consideration. Some states base their decisions more on these economic factors, rather than medical ones. This can mean that an evaluation that understates the severity of your disability can result in lost wages. The help of an Indiana disability lawyer is invaluable in helping to ensure that you receive the full disability benefits you need to successfully return to a normal life. 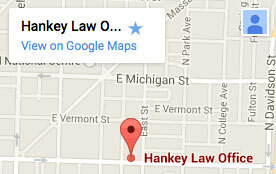 To discuss your case with the Indianapolis social security lawyers of the Hankey Law Office, contact us today at 317-634-8565.